Pediatric care necessitates compassion, attentiveness, and an extensive knowledge of the health complications and concerns that affect infants, children, and adolescents. 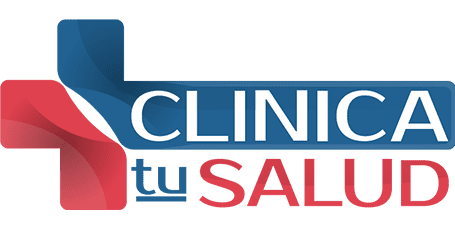 At Clinica tu Salud in Irving, Texas, Dr. Lopez-Sepulveda provides quality pediatric care and knows that every child is different and has individual needs. For more information and to book a pediatric appointment, call or click to schedule online. Pediatric care involves the medical care of infants, children, and adolescents. The American Academy of Pediatrics recommends pediatric care until the age of 21. Pediatric care is focused on the well-being and health complications commonly associated with adolescents and children. It’s also centered around children’s growth and development. Babies and children grow and develop quickly. Dr. Lopez-Sepulveda stays up to date with each child he treats, monitoring their development. And he knows that every child is different and deserves sufficient time, consideration, and individualized medical treatment. Health concerns for children are often different to health concerns of adults. Each child or adolescent responds differently to illness, medications, and the environment, depending on their age, medical and family history, and general health. For pediatric care, Dr. Lopez-Sepulveda includes various testing and screenings, immunizations, and any necessary treatments or blood work to keep babies, children, and adolescents healthy as they develop. What are some of the most common health complications that affect children? The same infection can have a bigger impact on a child than an adult, since the child is smaller in size, still developing, and has a weaker immune system. Health complications that are more common or specific for children and adolescents include tonsillitis and ear infections. What are the benefits of pediatric care? Dr. Lopez-Sepulveda educates pediatric patients about a healthy lifestyle to give them a better chance of becoming a healthy adult. He also works to reduce a child’s risk of chronic disease and improve emotional and physical wellness. Since most children are active and adventurous, it’s important to take safety precautions to prevent injury. Dr. Lopez-Sepulveda can give you helpful guidelines to protect your child from injury and create a safe and secure home environment. As well as physical health, pediatric care also entails a child’s emotional health and any social or behavioral concerns. Growing up can be emotionally challenging, and emotional health can impact physical health. That’s why it’s essential to pay attention to a child’s emotional state. Many children have disorders, such as autism, ADHD, and even sleeping difficulties and nightmares. Dr. Lopez-Sepulveda offers compassionate care to every child under his care. Call or book an appointment online today.